OLD PARKED CARS. 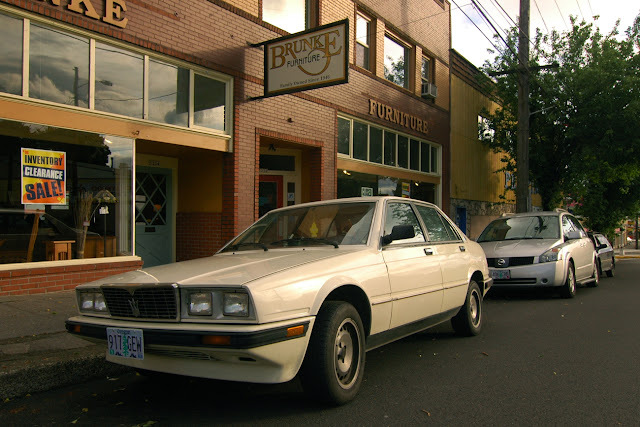 : 1985 Maserati 425 Biturbo. well, well, well. 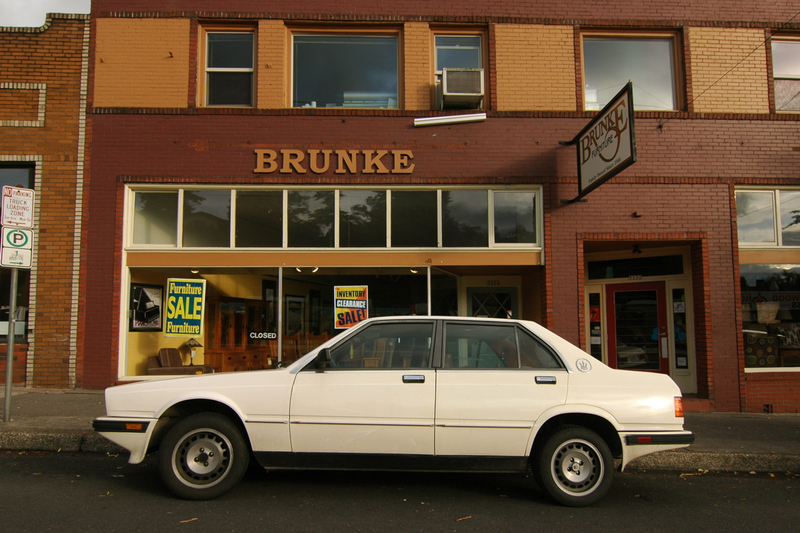 the blog's first maserati, and a true opc. i don't know if the general public has the same regard for these, but at work these are punchline cars. beautifully, luxuriously appointed, but due to an electrical design flaw, they catch fire--even with the car turned off, key removed and battery disconnected. 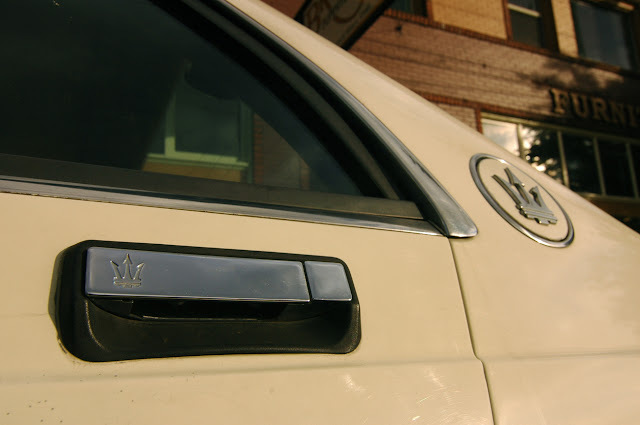 i dont know, was this ever really a maserati? Was'nt it more like a le baron - lancia - euro chop job thing? I was never convinced. definitely OPC worthy. a dated design plus the unreliability means there probably aren't many left. I have always liked the way these looked despite it's boxy 80's looks. the boxy styling isn't much to look at but the interior is very interesting and the wheels on this model look awesome and probably the cleanest example I've seen. some of the later 2.8 models had up to 280 hp, it's amazing how many versions there were. @Jakob hartel - schwarz, you're remembering the oh so memorableChrysler TC by Maserati, and are spot on for not being convinced. The Biturbo's statistics however, cement the legitimacy of its Italian heritage. These are so damn sharp, shame they burst into flames on a whim. It's at least an 86. 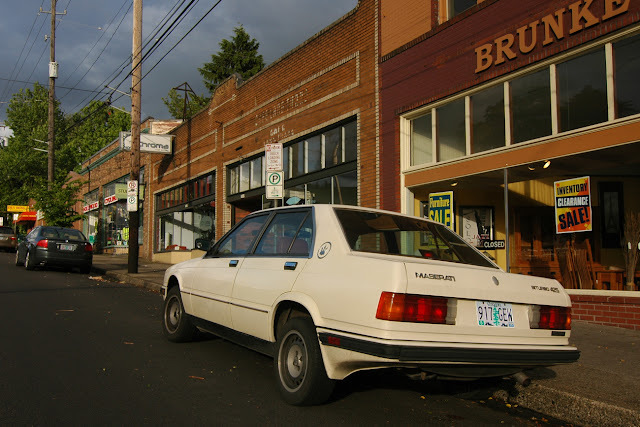 Jakob, THIS was a PURE 100% Maserati, unlike that LeBaron based Maserati/Chrysler TC shitbox. It was like a baby Quattroporte of the 80's vintage.